This guide is designed to help both new and potential residents of Lacombe County answer questions that come up when relocating to a new community. We’ve done our best to compile the most common questions we are asked in an effort to streamline the process for you. Rural living is very different than urban living, but equally fulfilling. Lacombe County offers beautiful landscapes, numerous parks, sunny beaches, easy access to cities, towns and villages, and excellent service levels. We are thrilled with your decision to move here. Why Move to Lacombe County? Lacombe County contains vast, beautiful farm lands, with several 100-year-old farms still operating. We take great pride in being involved with such a historic community, while supporting new development opportunities. 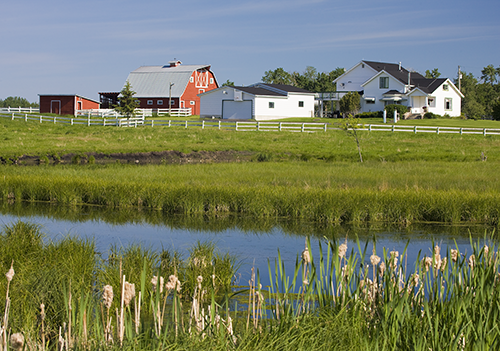 With low tax rates on farm land and residential, Lacombe County offers a unique experience in merging new growing families, with established and mature areas. Our County covers over 2,964 square kilometres containing several lakes, historic communities, golf courses, trails, and parks. We are proud to offer family friendly recreation areas such as Kuhnen Park, Anderson Park, Rays Pond, Mary & Cliff Soper Natural Area, Tees Pond, and Sandy Point Beach. We have also extended the Trans Canada Trail throughout our County. For more information on parks, beaches, and trails, you can check out Lacombe Tourism. Lacombe County is 2,964 square kilometres and contains six hamlets, 41 townships (including partial townships), as well as six municipalities and four summer villages. 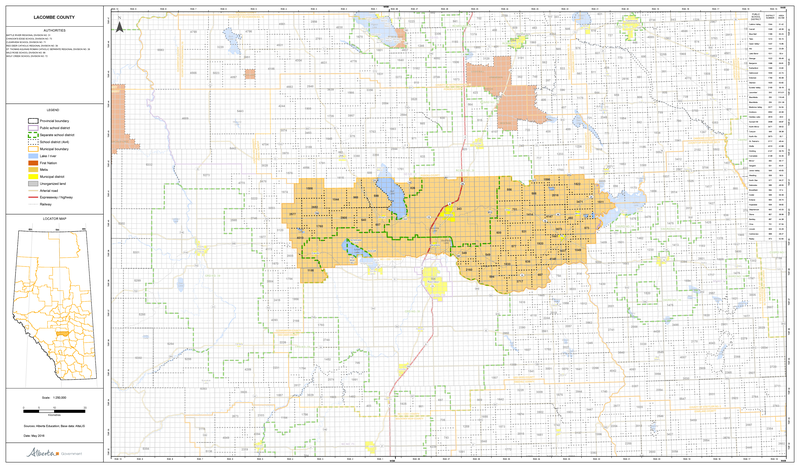 You can view a map of the County by clicking the Lacombe County Map. You can also check out our surrounding areas, Red Deer, Blackfalds, Ponoka, or Sylvan Lake. For more information on public, Catholic, Christian, and post-secondary schools within or close to Lacombe County, please contact the schools or school board directly. Centrally located between Edmonton and Calgary, Lacombe County residents have access to an array of medical services. Looking for a doctor or clinic information? There are recycling stations located at the Alix/Mirror and Eckville transfer sites, as well as in the City of Lacombe, Bentley, Alix, Eckville, Mirror, and Summer Villages. Cities, towns, and villages within Lacombe County offer their own garbage and recycling pick up. For more information please call the office. Drop off locations can also be found on the lrwcs.ca website under recycling. You have the power to choose between the regulated rate company or a competitive price company to be your electricity and natural gas provider. Based on where you live or work in Alberta, find the best energy providers, plans and payment options for you. To find utility and gas providers in your area CLICK HERE. Rural Electrification Associations (REAs) are unique to Alberta. They provide power for consumers in rural communities within a specific geographic boundary. Each REA has an elected board of directors that handles the business operations of the REA. For questions regarding power lines, power poles, digging, power outages, or to report street lamps out, please contact Fortis Alberta at 1-866-717-3113 or visit the Fortis Alberta Website. EQUS is the Rural Electrification Association for Lacombe County. The Lacombe County Operations Department stays busy throughout the year maintaining 326km of paved roads, and 1,735km of gravel roads. To view Operations FAQs CLICK HERE. Numbered highways within the County are maintained by the Province of Alberta. You can contact them at 403-340-4961. Non-emergency services requests can also be made through our Online Service Request Form or through the myLacombeCounty app (iPhone users). For local attractions, accommodations (including campgrounds), activities, and upcoming events within Lacombe County visit the Lacombe Regional Tourism Website. Lacombe County boasts three great lakes: Gull Lake, Sylvan Lake and Buffalo Lake, as well as ample camping areas and easy access to the mountains. Providing assistance to the RCMP, Lacombe Police Service, Commercial Vehicle Enforcement, Fish and Wildlife, and surrounding counties as needed. For a full list of the Mandated Acts and responsibility of Lacombe County Community Peace Officers are responsible for, please CLICK HERE. If you see criminal activity, please call 911. There are a number of active Rural Crime Watch associations in Lacombe County. To join or to learn more, visit the Rural Crime Watch section of our website. The Tax Installment Payment Plan (TIPP) is a popular program which allows you to pay your property taxes on a monthly basis instead of one payment in August. Your payment automatically comes out of your bank account on the 15th day of every month, making budgeting easier and helping you avoid the risk of a 6% penalty in September and a 10% penalty in December. For more information and to access the application form CLICK HERE. 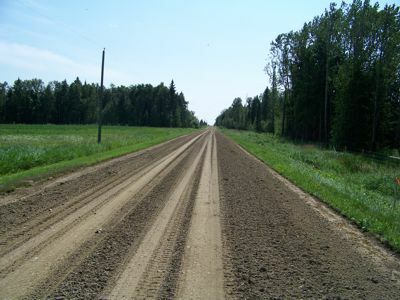 Dust can be a problem in rural Alberta; Lacombe County has a policy to provide ratepayers with the option of dust control in front of residences. This is an application of calcium chloride for a cost per lineal metre. The user rate represents 1/3 of the actual cost, with Lacombe County paying the remaining 2/3 of the cost. Most residences require between 100 and 200 metres. The dust control products are only guaranteed for one full season. Application accompanied with payment must be received by the County by late April or early May. For more information and to see current dust control rates CLICK HERE. Fire permits are required in Lacombe County between April 1 and October 31. During critical dry periods, fire bans can be enacted, whereby no open fires are allowed. For information on obtaining fire permits, contact the County office @ 403-782-8959. To access information on fire permits and to access the online permit request form CLICK HERE. Lacombe County utilizes pesticides in their maintenance operations. The County does allow for no-spray agreements adjacent to property you own. In Alberta, landowners are both responsible for and required by law to control plants designated as weeds under the Weed Control Act. Rural municipalities enforce the Act as a means of preventing the spread of weeds that can have serious implications to agricultural production. For more information on weeds, contact the Manager of Environmental and Protective Services at 403-782-6601 or CLICK HERE. Dog Ownership in Lacombe County only requires a dog license for residents in the Hamlet of Mirror. The cost is $15 for an altered dog, and $30 for unaltered. You can download and fill out the form, for a maximum of three dogs. Click here to download the form. To view the dog bylaw please visit our website.